The Under-18 Latvian National Basketball Team has finished the FIBA U18 European Championship off strong — grabbing the Silver in a tough matchup with reigning champs Serbia who enjoyed a repeat this Sunday in Riga. With Arena Riga abuzz, and Latvians protecting the paint against a stronger and taller Serbian team, the game was still as close as 6 points late in the 4th, with the final score 90-99. 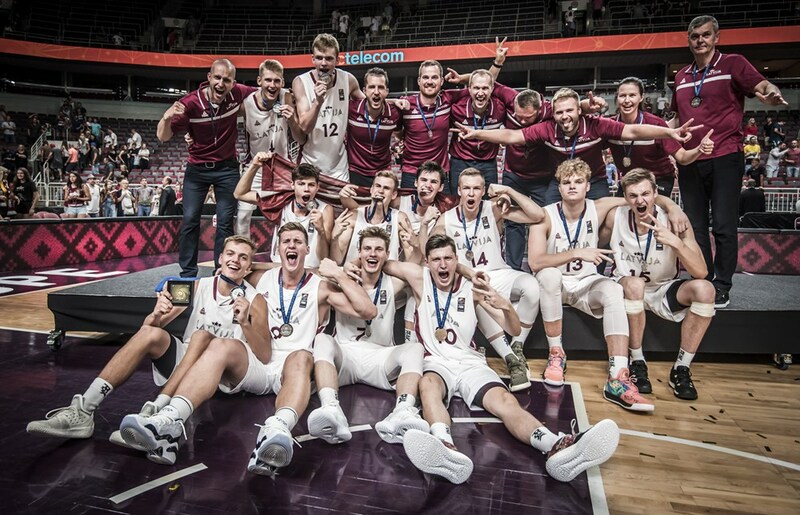 The Latvian U18 squad has never advanced this far in the tournament, and playing in the Final game — in front of the home crows, has been a dream come true for the youngsters and the coaching staff. 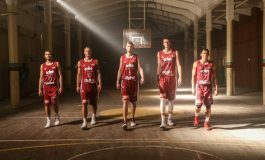 For Latvian basketball, these are definitely some good news: team’s leading PG Artūrs Žagars has made the All-Star Five while leading the team in points with 18.9 per game and assists with 6.3 dimes per game which is also tournament’s second best. Ain’t this a future in the making? We’re hearing some expect a Porzingis-like talent developing. Let’s see where the young gun, currently mastering the hoop skills in the Divina Seguros Joventut Badalona system, would take Latvian basketball. And next up — the FIBA U19 Basketball World Cup 2019, which the Silver Boys have just punched a ticket to. Hold your breath. The FIBA U18 European Championship was held in Latvian cities of Liepaja, Ventspils and Riga from July 28 to August 5, 2018, with Serbia being crowned champions for the fourth time, edging hosts Latvia 99-90. Team France grabbed the bronze, beating Russia 79-70. The three medalists, as well as Russia and Lithuania, qualified for the FIBA U19 Basketball World Cup 2019. Lithuania snatched the final ticket from Europe with an 83-55 win over Germany in the game for fifth place.